Despite the availability of amended surgical approaches and chemotherapeutic agents used for ovarian cancer, still the rate of survival from late stage ovarian cancer is only 30% out of 80% of the initial response. The probable reason might be the variable congenital as well as acquired genetic factors. Perhaps, because of these two possible reasons, ovarian cancer cells are known to possess the ability of developing resistance for chemotherapeutic agent used against their treatment. The use of ovarian cancer stem cells (CSCs) has been investigated aiming to find some alternatives to overcome the issue of chemoresistance of ovarian cancer cells. 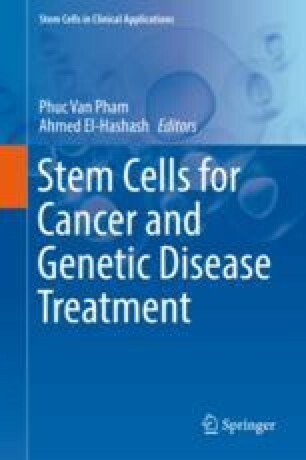 Capacity of self-renewal and pluripotent nature of stem cells are two main characteristics which make them capable enough to be used in this regard. As a result, CSCs have been found to be more resistant towards chemotherapeutic agents as well as radiation therapy than the more differentiated cells taken from the same tissue. Population of CSCs for different types of cells may be different. Several CSCs have been isolated by noticing the manifestation of extracellular markers that are thought to be specific for stem cells. CD133, CD117, EpCAM, CD44, and ALDH1A1 are the most commonly used biomarkers to separate the stem cells in normal as well as in tumor cells. Hence this chapter will discuss in detail the literature update on ovarian CSCs and their important strategic role for potential pharmacological and therapeutic applications in future. The authors declare that they do not have any conflict of interests for this chapter.